For history this week, I think we may "act" out the crusades. 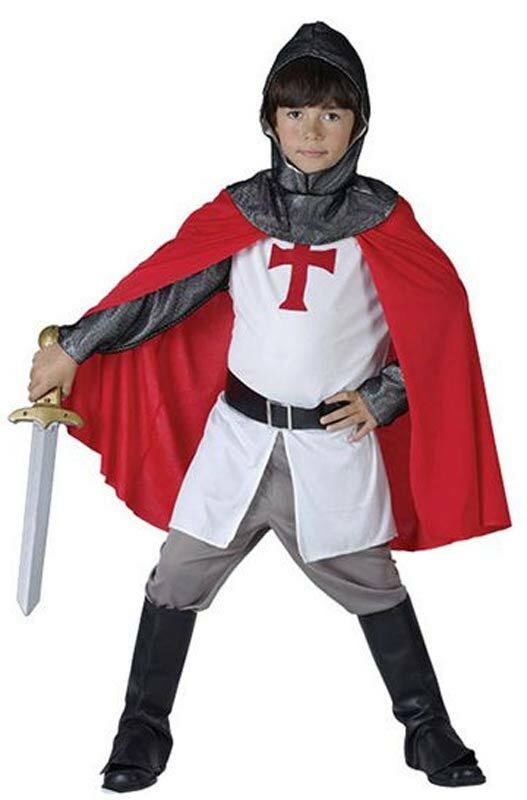 After reading a little about the crusades, I think I will have one child represent Richard the Lion-Hearted, one child represent the Muslims, and one child represent the Jews. They will probably use very non-middle age weapons such as light sabers, but the pretending will be fun. A little info where we can learn about the weapons and armor used in the Crusades. Here is an incredible homeschool resource page for ALL of World History. I will definitely be using this link for future reference. 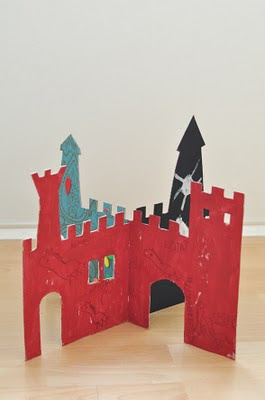 Not sure this has any thing specifically to do with Eleanor of Aquitaine or Richard the Lionhearted, but I really like the idea of making this castle together! 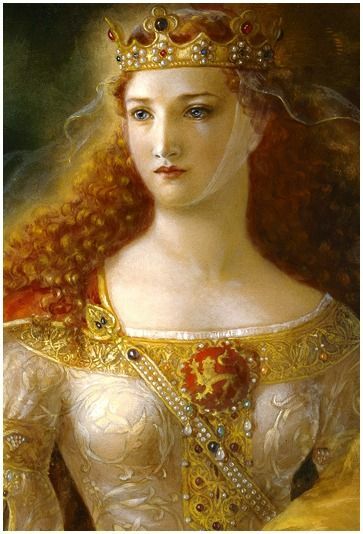 Awesome timeline of the Middle Ages and Renaissance period (and important figures). Super helpful! 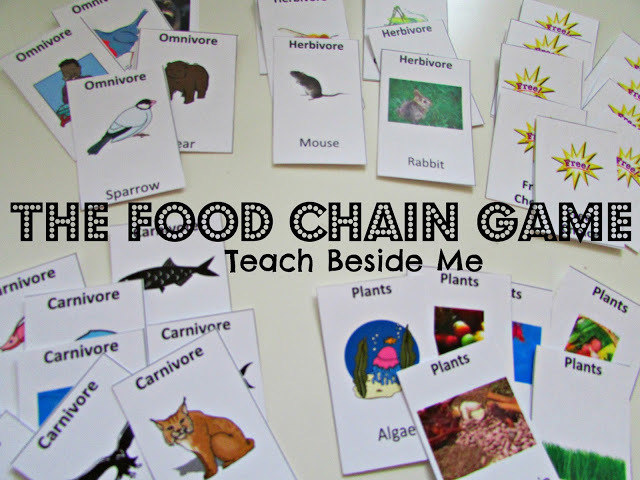 Food Chain game and free printable from Teach Beside Me. Also recommends a couple of The Magic School Bus books. Ireland - Irish recipes here at DLTK (though, truthfully, I'd rather just pick up some Irish soda bread from the local store). I really like this idea from Choices for Children (picture below) for my younger kids. There's also a version for older kids in the shape of Ireland itself. England - Palace guard craft made out of toilet paper rolls by DLTK. Of course, we'd have to watch a YouTube video on the changing of the guard. And, I will most definitely have to throw in a video like this one! Watch the movie Robin Hood (I loved this movie as a kid!). 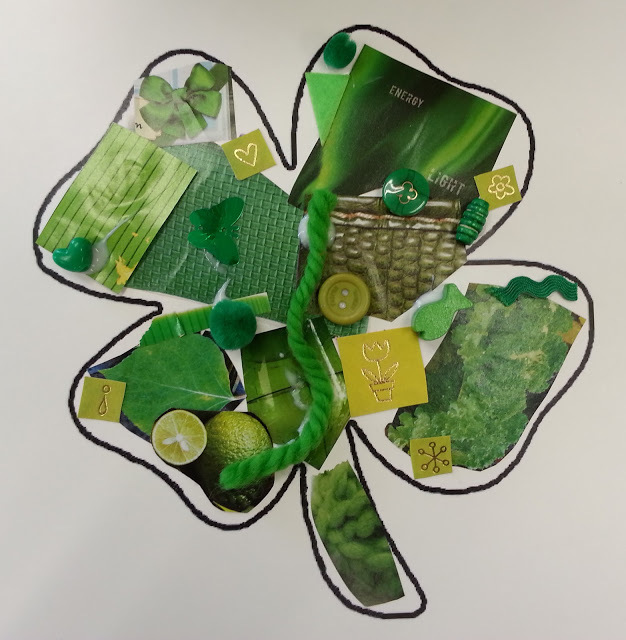 Portugal - Some craft ideas from Culture Cottage. Spain - Since we will only be talking in very broad terms about these countries this week, I will probably tell them what stood out to me the most on my trip to Spain (many years ago) - the flamenco dancing and the bull fighting. I will probably just show them a couple of YouTube videos like this one (Flamenco Dance) and this one (Guitar) and this one (bullfighting - if we watch this one, we'll only watch the first 2 minutes). Then, we'll probably act out a flamenco dance performance where my daughter dances and my sons play the guitar (or dance). Scout, my daughter, will totally dig that! We might even have to give Marcos, my husband, a performance when he gets home! Here is a cool post on how to make maracas out of leftover plastic eggs from Easter. France - I like the idea here of making an Eiffel Tower out of Legos! I also like this idea from The Chocolate Muffin Tree of making a "stained glass window" like the one in Notre Dame. My husband and I just returned from Paris this past week and have lots of pictures to share with the kiddos of these windows (and all of Paris, really). There are lots of great Europe Unit Study boards on Pinterest. Here's a good one! Or, we could always do a Europe Lapbook! Leslie do you take Merrick to CC or just teach along those ideas and philosophies at home? I have been curious about whether joining a CC group is worth the cost. You can email me: jennerD at gmail dot com if you have time! Are these ideas for teaching at home or tutoring? Could you email me at hollie at renewalchurch dot cc? thanks! Another great list of ideas you've offered for the CC crowd! Thank you for sharing your hard work with us on the CC Cycle 2 Weekly Link-Up! 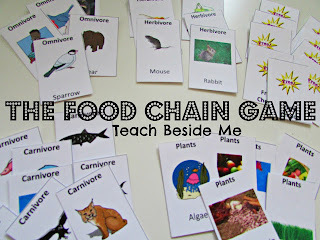 Thanks so much for linking to my Food Chain post! Great list of ideas here. The food chain video is hilarious! My kids loved it. Thanks for all your great ideas. We are new to CC this year, so this is super helpful.